Twisty Board 2 from LHD Games is better than the original in many ways. In the first game you went around on a hoverboard hurling missiles and trying to survive. It was fun, but the sequel is even better. This time around, you are battling those nasty aliens with more power ups, better graphics and yes, you still have the hoveboard with you. You are in a war zone where the aliens are trying to destroy the human race. So now you are on your hoverboard, creating a path to save hostages while shooting the enemy before they get to you. When you have rescued all the hostages you will face off with the big boss to try and advance to the next phase. The game gets tougher and tougher but you’ll be armed and ready for it. The early stages are also relatively simple so you will get accustomed to the game. Just like the original, there is an open arena with various objects and enemies abound, and your hoverboard must get past them. Tap and hold the screen to go right or let. As soon as your enemies come into range you fire automatically. That is all there is to the controls so there is no steep learning curve. 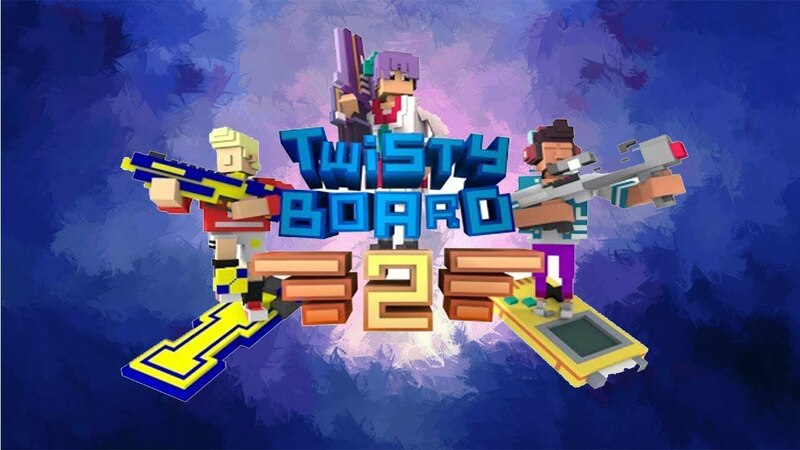 This means Twisty Board 2 is suitable for casual, short burst play. The game also maintains the original 8 bit graphics style, adding a lot of appeal and color. As the game goes on the enemies become harder to challenge. But there are power ups scattered throughout the game that boost your strength. Bottom line, Twisty Board 2 is a worthy sequel.